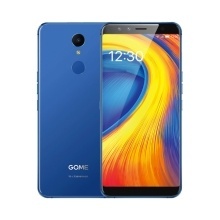 The Gome U7 phone comes with a 5.99-inch touchscreen display with a resolution of 2160*1080 Pixels, powered by Helio P25 MT6757CD processor and it comes with 4GB of RAM. The phone packs 64GB of internal storage that can be expanded up to 256GB via a microTF card. As far as the cameras are concerned, the Gome U7 packs a 13-megapixel camera on the rear and a 13-megapixel front shooter for selfies. A 3050mAh non removable battery built in, connectivity options include Wi-Fi, GPS, BT, USB OTG, NFC, USB Type-C, 3G and 4G. Sensors on the phone include Proximity Sensor, Accelerometer, Ambient Light, E-Compass, Fingerprint Scanner. NOT Global Firmware, But Gome U7 supports multi-language. 3. What&apos;s the Languages of Gome U7?